Is your weeds management knowledge in 2019 mode? Give yourself a little test with these four questions. 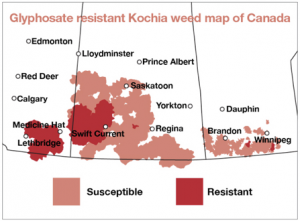 Tank mix options for glyphosate ahead of canola are bromoxynil, Aim/CleanStart (carfentrazone), clomazone, Conquer (bromoxynil and carfentrazone) and quinclorac. Tank mixing can prevent herbicide resistance. Canola has posted three podcasts over the past month. Here they are…. 1. Prep for good seed placement. 2. Use the canola calculator to set seeding rates. 3. Know the risk of seed-placed fertilizer…and more. 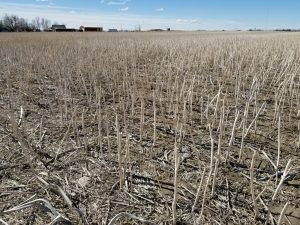 The Canola Council of Canada (CCC) has released a new seed cost feature for canolacalculator.ca to help canola growers set seeding rates that balance agronomy and economics.